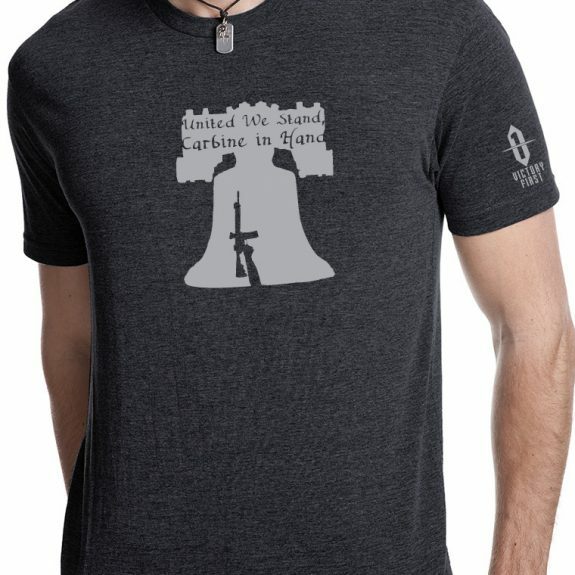 Victory-Wear’s upcoming Carbine in Hand Shirt features a graphic of the Liberty Bell complete with an arm holding an AR-15 carbine as the “crack”. It also features the words, “United we stand, with carbine in hand”. The graphic and words may be simple but the meanings are powerful as it relates to the Second Amendment and liberty in general. You can pre-order the shirt now at Victory-Wear.com. They are also hosting a giveaway on the Victory-Wear Facebook page to celebrate its release.